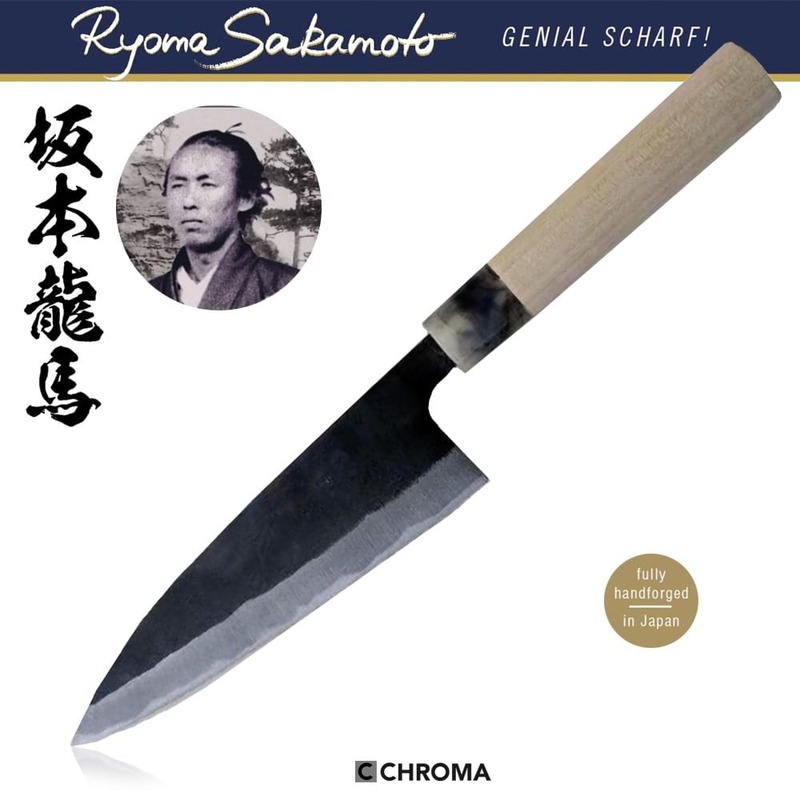 Chroma Ryoma Sakamoto Funayuki RS-03 15 cm is a classic handmade Japanese knife. The perfect knife to cut and slice fish and filets. Funayuki is a broad classification of knifes that can refer to a range of different design features. 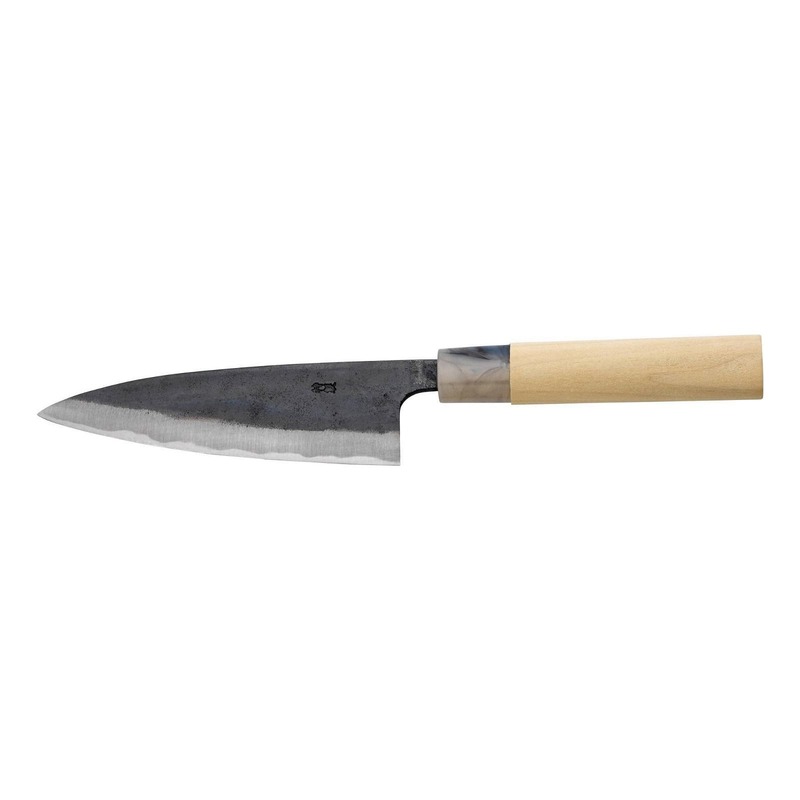 Originally the funayuki was designed as a multipurpose knife for use on fishing boats. Today, how the term is used depends on the knife maker and how they choose to design their knives. 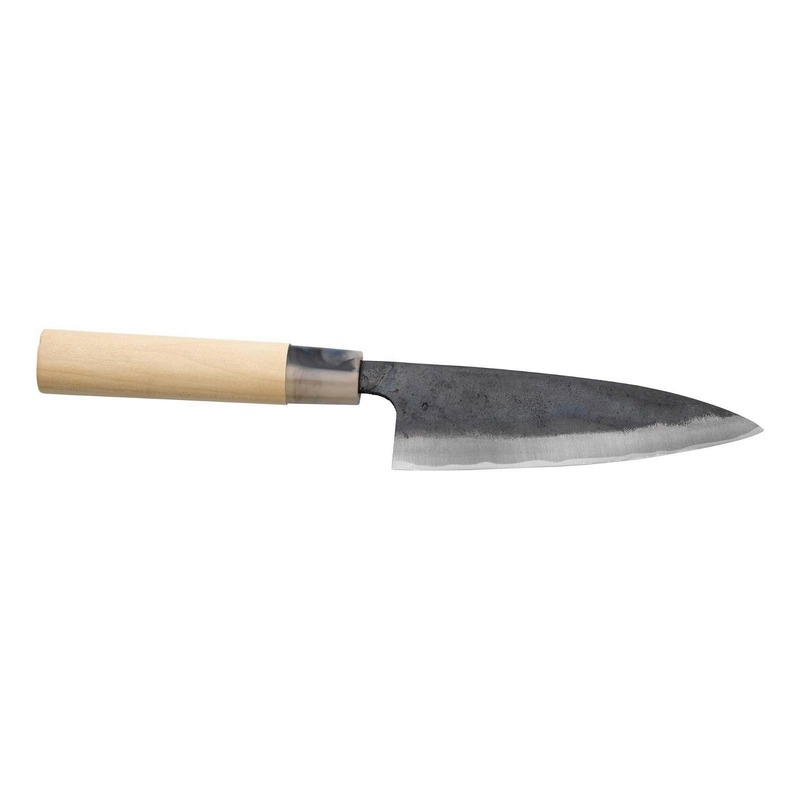 Several features common to funayukis are: a fairly flat blade profile with relatively little belly, a short, handy size, the knife may or may not be single edged. In general these knives make great complements or replacements for the gyuto or chef’s knife as a jack of all trades in the kitchen. Many funayukis retain the sea food oriented design elements and are adept at breaking down fish much like a deba or yanagiba. Fully handforged Japanese Funayuki knife with 15 cm long blade.